Save the date! Summer camp 2018 is June 27th - July 3rd. This summer, the Civil Liberties Defense Center and Rogue Climate are hosting the fifth annual action camp for youth ages 14-18 to gain knowledge and skills to organize for climate justice. 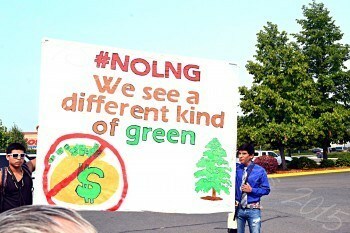 The camp will include a youth led public event focused on a local climate justice campaign. The camp will be from Wednesday June 27th – Tuesday July 3rd. People should plan on being at the campsite by 1pm on Wednesday June 27th and depart by noon on July 3rd. The camp is being held at a new location, Lobster Creek Camp which is 30 min east of Gold Beach. The Camp registration fee is $350.00, but no one will be turned away if they can’t afford the fee. We have full and partial scholarships to cover the registration cost and we even try to provide transportation to everyone who needs it. Apply here! Please put time and care into your application, if our applicant pool is larger than the spaces for camp, we will not except every application. All applications are due by June 15th. Want to help fund the camp? Or pay for the scholarship so a teen can attend for free? You can make a donation here! What is the Next Generation Climate Justice Action Camp? The Next Generation Climate Justice Action Camp (NGCJAC) is a seven day action camp to empower youth to speak out by providing age-appropriate training and mentoring. The workshops, trainings, and activities will provide a group of young activists between the ages of 14 and 18 with the tools and underlying information that they need in order to engage in systemic climate justice organizing. Youth will come together to form alliances, find their voice, learn from experienced mentors and frontline organizers, have fun and gain skills in an old growth forest setting. Throughout the week of camp, the youth will be planning a public event on a local climate issue, and carrying out their plan at the end of the week. It is a great opportunity for them to practice using their skills and to build a community of activists their own age. This camp is for youth ages 14-18 who are interested in social and environmental issues and want to gain hands on skills. The camp will provide information on movement history, climate justice campaigns, how to plan and run a campaign, non-violent protest planning, media and outreach skills, decolonization trainings, as well as know-your-rights trainings. At NGCJAC, we believe that artists have an important role to play in our movement, so we are improving and growing the arts portion of our camp. The camp will also provide outdoor fun, such as swimming, time for sports, hiking through an old growth forest, games, team building and so much more! Lobster Creek Camp is on the beautiful Lobster Creek, with lots of access to swimming and hiking. The camp has cabins, showers, electricity and an industrial kitchen for your comfort. Youth of color, femme and female, queer and trans youth encouraged to apply! The quickening climate disaster is intensifying the need for unified action and diverse partnerships more than ever before. Our present generation must be ready to stand up to this global crisis that connects the environment, economy, energy and social justice. Youth aren’t learning about these issues in schools, and they are not being trained on how to create the work they want to see. Without these lessons, our young generation is missing an opportunity to step into their power and start speaking up now, as young people, instead of waiting until they are adults. They are the future, we seek to give them the voice. What skills and workshops will be offered? We will be offering trainings on campaign organizing, media skills, demonstration planning, know your rights trainings, art for activism, intersectionality, decolonizing the environmental movement and more! We are always improving our content, so if you have of specific trainings you would like to see, or if you have any skills to share, let us know! 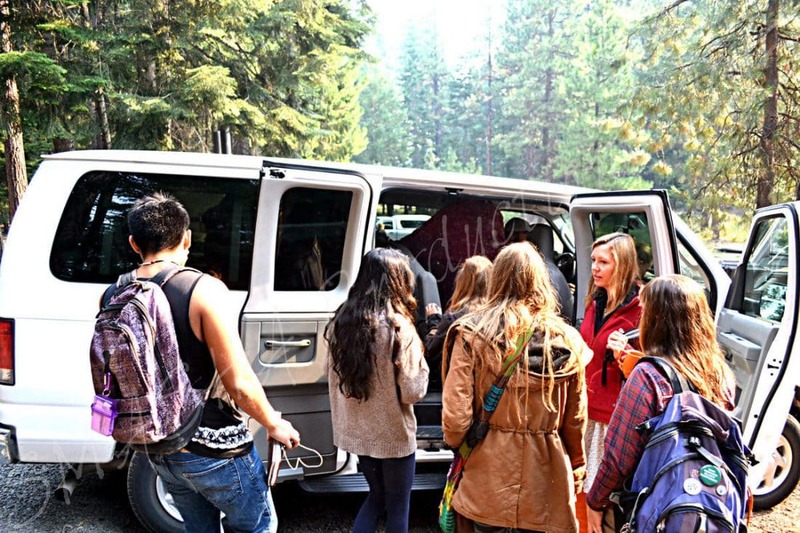 We will be organizing vans and carpools from Portland, Eugene, Southern Oregon, Northern California and other areas as needed. You are also welcome to drop a camper off at Lobster Creek Camp. Check out some footage from camp! Below is a suggested packing list, if you don’t have some of the items, contact us and we can try to find extras. 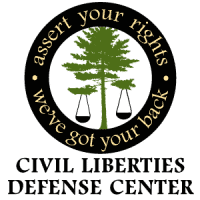 We are very excited to have joined the Civil Liberties Defense Center this year to organize camp. CLDC works tirelessly to provide litigation, education, legal and strategic resources to strengthen and embolden the work of organizers and activist. Also very excited to partner with Signal Fire, a Portland based group who believes artists are agents of change. They will be bringing the arts portion of our camp this year.